Opioid overdoses and life-saving naloxone are frightening and serious subjects. That’s why CMHA Ontario has developed an easy-to-understand resource to help organizations and the average person identify the signs of an opioid-overdose and how to deliver potentially life-saving naloxone. 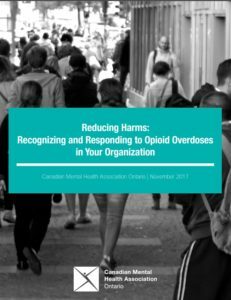 An overview of the current situation in Ontario related to opioids, naloxone, and opioid-related emergencies, including definitions and facts. Explanations of symptoms and who may be at-risk of an opioid overdose. Information about where to get naloxone and instructions about how to use it. Information about caring for an individual after they receive naloxone. 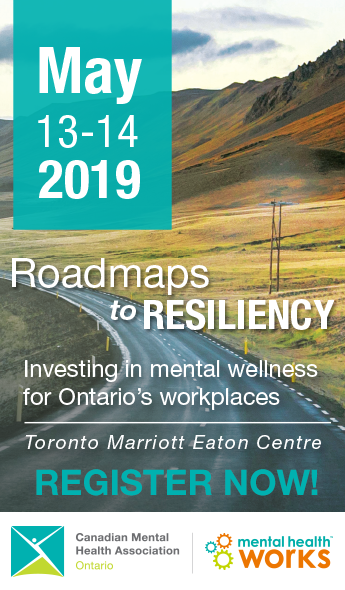 Information about supporting employees in the aftermath of an opioid emergency. Considerations about implementing a naloxone-delivery policy, including myth-busting information about naloxone administration. The toolkit is particularly useful for community groups who work with at-risk populations. The resource is also useful for the average person who wants to learn more about how to use naloxone during an opioid-related emergency at home, at work or at play. This toolkit even more effective when it accompanies hands-on training provided from pharmacies or public health units that distribute naloxone.